Warts are a type of common skin growth that can be rather unsightly and embarrassing for most people to live with. They are almost always firm and raised above the skin, round or oval in shape and tend to have a rough, uneven surface. In general, they are harmless and can be left to disappear on their own, although this can take up to months or even years. If you’re suffering from a loss of confidence or simply want to change your look, Dr Firas Niaimi can suggest the book route of action to wart removal. There are numerous home treatments that can be bought over the counter, but these tend to be rather unreliable and ineffective. Dr. Firas offers both laser wart removal and excision treatment options that are proven to work, with reliable results. The type of treatment that is best suited to you depends on the type of wart you have, and this will be determined following a discussion and assessment during your consultation process. We will help you decide which course of treatment is best for you based on your expected results and your condition. A laser removal is an easy, relatively painless and non-invasive way to get rid of your warts. The laser can specifically target the affected area meaning the rest of your skin is left intact after the removal has taken place. The laser penetrates the out layer of skin, the epidermis, allowing it to target the wart directly which situated next to the dermis. 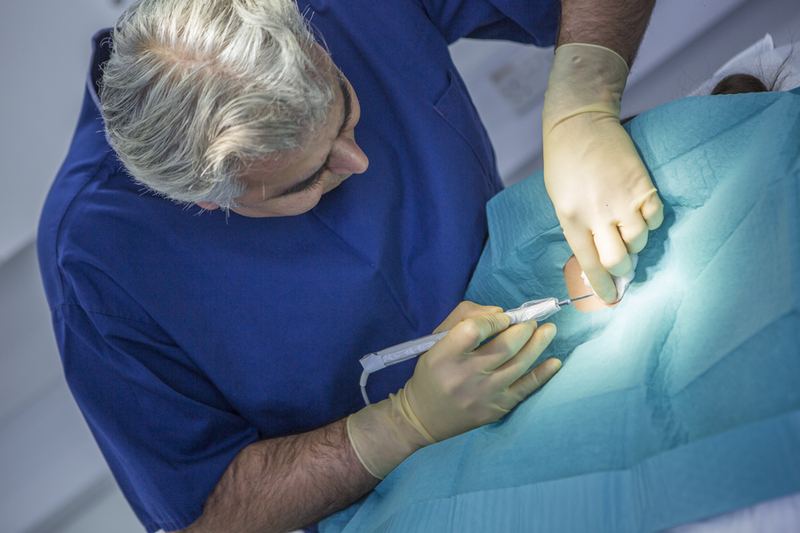 Excision treatment means tackling the wart directly by using a scalpel to remove it. This treatment may be required depending on the size and condition of your wart. 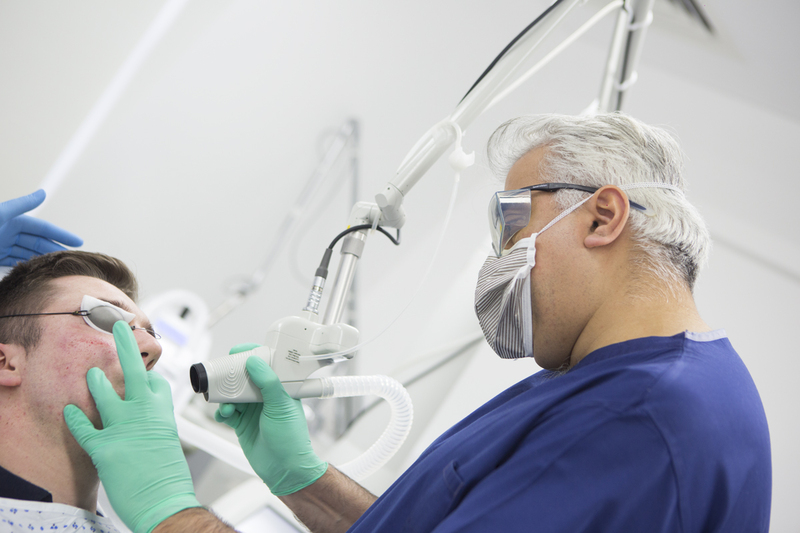 With this treatment you will be given a local anaesthetic so you do not feel any discomfort during the procedure. Once the wart removal, the area will need to be left to heal and may require stitches. Warts appear as a result of certain viruses, particularly HPV, and can spread from person to person, especially if your skin is wet or damaged. What is a wart excision? This involves cutting the wart out of the skin using a surgical scalpel with expert precision. This immediately removes the wart under local anaesthetic, leaving just a small wound to be stitched. In comparison to an excision, this type of treatment is less invasive but kills the wart so that it falls off naturally over a period of weeks. Laser energy is used to carefully heat up and destroy the blood vessels so as to cut off the blood supply to the wart. Both procedures are very quick and simple, with minimal discomfort. Dr. Firas takes steps to ensure you are as comfortable as possible throughout your treatment. 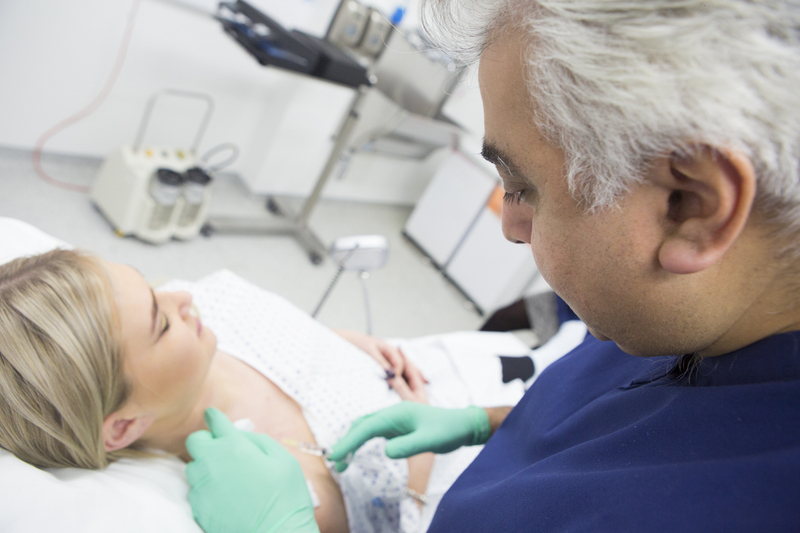 As these procedures are both minimally invasive, you can return to your regular routine immediately afterwards. You might need to clean the treatment area or take other precautions, but Dr. Firas will go through this with you in person.